ESET products for online child protection and for Mac security have been certified in the latest comparatives by the world’s leading security software testers AV-Comparatives. There is a common misconception that macOS systems do not face the same threats as others. However, we know that Macs are not malware-proof as the legacy stated. Just recently we have been witnesses of various type of malware infiltrating this platform – from the most recent FruitFly to crypto-ransomware locking users out of their data. Designed specifically for macOS, ESET Cyber Security Pro is a fully featured security product that allows users to browse the internet safely, eliminating all types of threats, including viruses, worms and spyware. Its Anti-Phishing solution ensures sensitive personal data such as usernames, passwords and banking details are protected from fake websites masquerading as trustworthy ones. 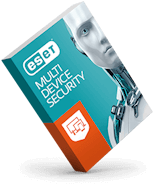 ESET Cyber Security Pro comes fully certified and recommended by AV-Comparatives, who praised the program’s ability to scan individual files, easy access and parental controls. In the test, ESET solution received very high detection on Mac malware combined with 100% detection of Windows malware. In its assessment of ESET Cyber Security Pro, AV-Comparatives also identified the straightforward set-up of the software. With ESET, a user can easily install the antivirus software once and forget it’s there as the solution offers uninterrupted protection as the program runs in the background, and only asks for the user‘s attention when necessary. It will also identify potentially unwanted applications that usually require the user’s consent before installation. In addition, AV-Comparatives addressed Mac users’ concerns that third-party security software would slow down their PC, confirming that the solution did not impact performance during daily operations nor did it reduce internet speed. AV-Comparatives highly rated ESET Parental Control for Android, awarding it the AV-Comparatives Approved Parental Control Award for 2017. Worldwide, only three parental control solutions were able to enter the testing and certify as the Approved product, including ESET solution. The program keeps children safe from adult websites and safeguards them from online content that promotes gambling or weapons. Having tested the effectiveness of the parental control software against 2,000 websites with potentially inappropriate content for children, AV-Comparatives found that ESET’s solution blocked 98% of sites that featured adult content. ESET Parental Control for Android enables a parent help their child navigate online safely, manage what apps and websites they use, and decide – together – what is appropriate for them to access. The software provides a very wide range of website categories that can be monitored and/or blocked, and allows parents to effectively control which apps their children use and at what times.